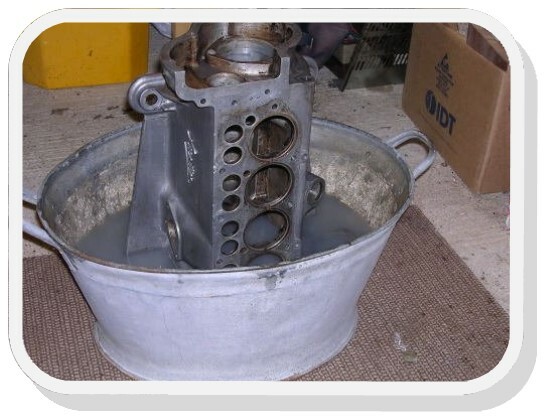 The easiest way to set tappet clearances is with a clean, newly built engine on the bench, with no manifolds in the way. Unfortunately the normal situation is trying to peer into a black oily recess underneath the manifold ! The tappet screws develop recessed heads with long service, which makes getting a true feeler gauge reading difficult. The screw heads should be ground back flat if possible. Set the clearances to the recommended values for a cold engine, normally 6 thou for inlet and 7 thou for exhaust. In theory the gaps can be set at 4 thou for a hot engine, but I have never met anyone who can work quickly enough to do this whilst avoiding manifold burns. 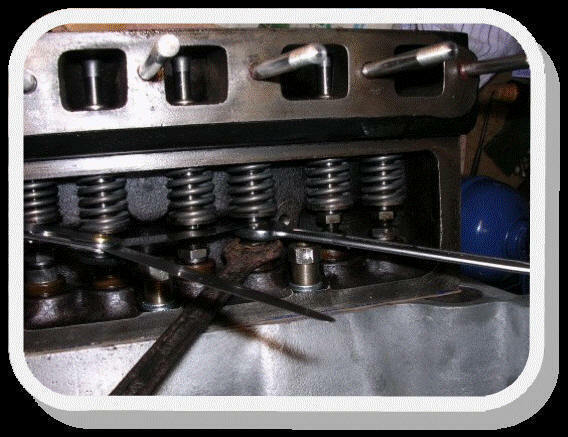 Too little clearance can lead to burnt exhaust valves (very bad), too much clearance leads to reduced valve opening and extra noise (moderately bad). If in doubt, err on the side of greater clearance. Numbering the valves from 1 to 9 starting at the front, the "rule of 9" may be used, i.e. when valve "x" is fully open, valve (9 minus x) may be adjusted. Using the starting handle to turn the engine, the whole sequence above will take two full turns (easiest with sparking plugs removed). When slackening the locknut, only slacken enough to just be able to adjust the tappet screw. This reduces the tendency for the setting to slip when the locknut is retightened. One full turn of the screw represents about 40 thou, so to get within an accuracy of 1 or 2 thou its position must be quite precise.